Welcome to the major leagues, Oscar. We hope you enjoy your stay. The Cardinals announced that Oscar Taveras , their top prospect and number 3 overall on my rankings is headed to the Major Leagues. In a corresponding roster move, the Cardinals placed first baseman Matt Adams on the 15-day disabled list with a strained calf. While Taveras does not play first base to cover for Adams while he is out, they can slide outfielder Allen Craig to first base, and put Taveras in the outfield, where he has played his entire professional career. The Cardinals signed the 21-year-old back in 2008 for $145,000 from the Dominican Republic. That $145,000 seems like it was a good investment, as Taveras has hit .321/.377/.519 in 1807 career minor league plate appearances. He was only able to play in 47 games last season due to ankle surgery, which may have forced him to wait another season before being called up to the majors. 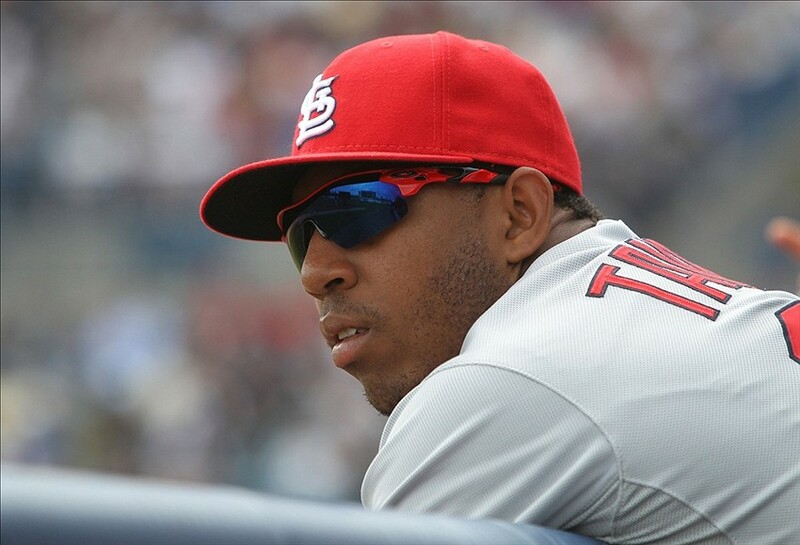 This season, in 49 games, Taveras is hitting .325/.373/.524 with 7 home runs and 40 RBI. He has excellent plate discipline, posting a strikeout percentage of a very low 12 percent. While his walk rate (6.7%) isn't great, Taveras makes up for that by being able to hit any pitch, even if it is outside the strike zone. He is often compared to Vladimir Guerrero, whom did the same. While his defense is not as keen as his hitting abilities, Taveras runs routes well and is considered to have solid instincts. Early in his minor league career, Taveras gained a reputation for working very hard at his hitting at the expense of his fielding. He has improved over the seasons, and has a good arm. The Cardinals believe that Taveras has the range and skill to play center field, while many think he should stick to the corner outfield slots. Taveras has a number of awards and accolades during his minor league career. He's appeared in the MLB Futures Game twice, is a three-time minor league All Star, and won the 2012 Cardinals Minor League Player of the Year. And now, he's moved to the major leagues, batting sixth and playing right field against the San Francisco Giants this afternoon in St. Louis. Besides being a three-time All Star and a 20 game winner, Josh Beckett wrote himself into baseball's record books once again on Saturday. From the time he stepped upon the mound and threw his first pitch, Beckett dominated the Phillies all afternoon. Although he threw 24 pitches in the first inning, Beckett settled down, throwing on average 13 pitches per inning; 128 total. He struck out six, including Chase Utley with a full count in the bottom of the ninth to end the game, and walked three. Beckett did not allow a single hit all afternoon. The Phillies seemed lifeless, although they did allow Beckett to throw a lot of pitches by getting deep into counts. This is the first time since Bob Forsch in 1978 that the Phillies have been no-hit and the first time since Bill Stoneman in 1969 that the Phillies have been no-hit in Philadelphia. They have been no-hit 14 times in team history. Beckett has come a long way. After being drafted by the Florida Marlins with the second overall pick in the 1999 draft, Beckett shot his way through the minors, throwing a heater in the mid-90s. He struck out 13 hitters per nine innings in the minors in 2001. By 2012, his fastball velocity had declined to 91.2 mph (it was 94.4 mph in 2007), and Beckett had to become more of a pitcher than a thrower. It took some time. He had to have surgery on his thumb last season and only started eight games. But this season, Beckett has returned to form (or so it has seemed), going 3-1 with a 2.43 ERA and a 1.02 WHIP, including some very fine performances. This is just the 12th complete game of his career and only the 6th shutout. The Dodgers last pitcher to throw a no-hitter was Hideo Nomo back on September 17, 1996 against the Colorado Rockies. Beckett becomes the 18th pitcher in Dodgers history to throw a no-hitter. He becomes the 202nd pitcher in Major League history to throw a nine inning no-hitter. He was absolutely brilliant today from the get go to finish, retiring 27 hitters without allowing a single hit. The Baltimore Orioles have secured much needed catching depth. They acquired catcher Nick Hundley and cash from the San Diego Padres in exchange for left-hander Troy Patton. Hundley had primarily been the Padres' backup catcher so far this season. He will head to Baltimore, where he will battle with Steve Clevenger and Caleb Joseph for starts at catcher. The Orioles have been needing a catcher ever since starter Matt Wieters went down with an injury. The 28-year-old has not played since May 10 with an elbow injury. Many fear he needs Tommy John surgery. This trade with the Orioles may mean that Wieters will miss an extended amount of time, perhaps even the entire season. The Padres have been carrying three catchers on their roster: Hundley, Yasmani Grandal, and Rene Rivera. They have needed some bullpen depth. The Orioles have had a surplus of relievers and have had a need in catching depth. The deal seems to be a perfect match. In 33 games on the season, Nick Hundley has been hitting .271/.271/.373 with one home run and three runs batted in. Four of his 16 hits have gone for extra bases. Over his career, Hundley has been hitting .238/.296/.389 with 47 home runs and 195 runs batted in. As a catcher, Hundley's pitchers have a 4.05 ERA. However, that number could be helped by the fact that Petco Park is a pitcher's wonderland. Hundley has a 5.3 oWAR and a 2.8 dWAR over his career. In return, the Padres will be receiving Troy Patton. He has a 8.10 ERA and a 5.30 FIP in 6.2 innings pitched for the Orioles this season. The main issue that Patton's ERA and FIPs are high is that he has a 5.4 BB/9 rate this season, compared to a 2.3 BB/9 rate over his career. However, this comes in a very small sample size. Over Patton's career, the 28-year-old is 5-4 with a 3.28 ERA and a 3.94 FIP in 161.2 innings pitched (129 ERA+). This comes with a career 7.1 SO/9 rate. The swap fills needs for both teams by using surpluses (Orioles at relief pitcher, Padres at catcher), which makes it a fair deal. Neither Patton nor Hundley has yet to make a ton of noise in the Major Leagues, but in a change of scenery where both teams need one another, they may be able to provide dividends for both teams. We will have to see how they play as the season continues. The Rangers injury-plagued season continues to get worse. They found out yesterday that first baseman Prince Fielder has decided to have surgery on the herniated disk in his neck that has kept him sidelined since May 16. The procedure will be performed on Tuesday, barring a second opinion. However, the surgery appears to be the case that will likely end his season. 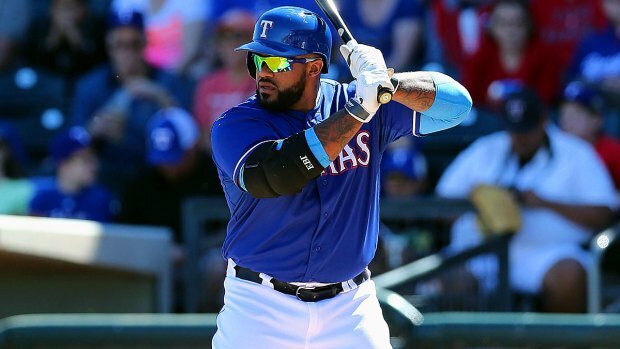 According to Evan Grant of the Dallas Morning News, the Rangers do have some insurance on Fielder's contract that he estimates could save them about $2 million. The insurance policy pays out 50 cents on the dollar during a certain time period, which is believed to be about 90 days. Prior to the injury, Fielder had played in 547 consecutive games. Now, his 2014 campaign will likely be over. Fielder is hitting a triple-slash line of .247/.360/.360 with three home runs and 16 runs batted in. Over Fielder's past three All Star seasons, he has hit a triple-slash line of .297/.396/.515 with 93 home runs (31 per season) with 334 runs batted in (111.3 per season). Over his career, Fielder has hit a triple-slash line of .285/.388/.522 with 288 home runs (29 per season) and 886 runs batted in (89 runs batted in) with the Milwaukee Brewers, Detroit Tigers, and Texas Rangers. The Rangers acquired Fielder this offseason in a blockbuster. They acquired him and cash from the Detroit Tigers in exchange for second baseman Ian Kinsler. Fielder is owed $24 million every season through 2020, with the Tigers paying $6 million of his salary starting in 2016. Is there a possibility that the Rangers pursue Kendrys Morales, the final remaining top free agent from the 2013 offseason? There is a chance, but he could be looking for a deal like Stephen Drew's, who got paid a prorated $10 million over one year from the Red Sox. The Rangers may not be willing, or cannot afford, to spend that money when they are sitting in fourth in the American League West. Regardless the case, the Rangers will need to find a replacement, as their first baseman in Prince Fielder will likely not be able to return to the lineup again this year, which is yet another injury that the Rangers have had to swallow this season. It just does not look like it is their year. One down, Kendrys Morales to go. Stephen Drew has signed. After holding out the entire offseason for a new contract, the shortstop has agreed to terms with the Boston Red Sox on a one-year, $10.17 million deal, according to Ken Rosenthal of FOX Sports. The deal is a prorated qualifying-offer type deal due to the fact that Drew has missed the first 43 games of the Red Sox season. Drew has not signed with a team for multiple factors. First, at the end of last season, the Boston Red Sox offered Drew a $14.1 million qualifying offer, which he declined. This meant that any team that signed Drew, besides the Red Sox, would have to give up their top remaining pick. This will not be the case for Drew in 2014, as a player needs to spend the entire season with a club in order to be eligible for a qualifying offer. Drew's agent, Scott Boras, has been using Drew and free agent Kendrys Morales as leverage to try and get Major League Baseball to tweak the qualifying offer system. Drew's deal with the Red Sox just came together in the past two days, according to reports, so it is real that the shortstop received little interest from any clubs. Having Major League Baseball tweak the qualifying offer system is another issue that needs to be resolved, but it seems that Drew just wanted to get back to playing baseball instead of waiting for a long-term deal. Drew has signed a Major League deal and will be added to the Red Sox roster, but he will report to the minor leagues in order to get into MLB game shape. He will get 25 at bats in the minors, according to manager John Farrell (via Nick Cafardo on Twitter). He has been participating in simulated games, according to Joel Sherman of the New York Post, but that is far from the competitiveness of the MLB. The 31-year-old Drew hit a triple-slash line of .253/.333/.433 with 13 home runs and 67 runs batted in (111 OPS+), appearing at the plate 501 times in 124 games, while serving as the Red Sox shortstop. He had signed a one-year, $9.5 million deal with the Red Sox before the season. Over his career, Drew has posted a .264/.329/.435 triple-slash line while averaging 16 home runs and 72 runs batted in a 162-game average over his eight seasons. 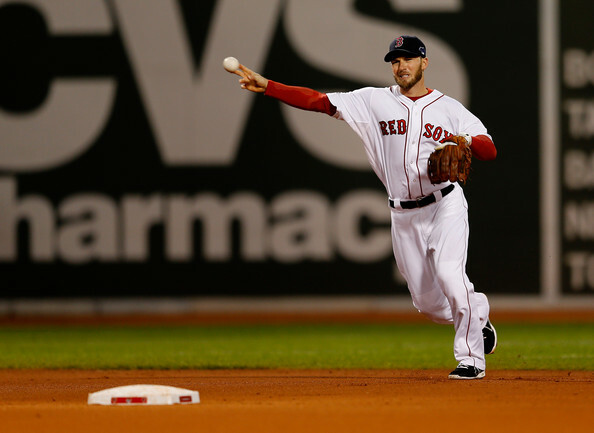 He will resume his career at shortstop with the Red Sox, meaning that Xander Bogaerts will slide over to third base. The Red Sox' players are very happy that Drew is back, according to the Boston Globe's Nick Cafardo. The Red Sox are 20-23 so far this season and are currently sitting in third place in the American League East. Drew just might be the spark they need to get on a roll to take back the top spot in the division that has no clear cut team to beat, as all five teams are separated by five games. Maybe Drew will shoot the Red Sox back to the top. They can only hope so.